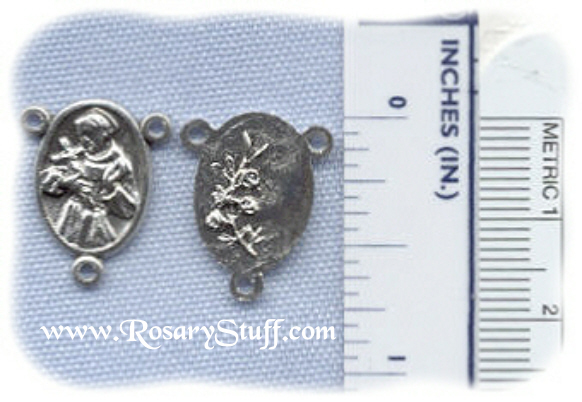 Italian oxidized silver plate St. Francis rosary center. Click HERE for information about St. Francis of Assisi including his background and patronage. Sized at 3/4 inch tall (including rings) and 1/2 inch wide. White Lily Rosary Set ~ Im. Rhod.